for more than one month and remaining 25 per cent if unemployed for more than two months. But EPF withdrawal is allowed for certain purpose like the treatment of illness, advance for marriage, post-matriculation education for children, purchase of house or flat, construction of the house or for repayment of loans in special cases. 2. Log in with your UAN, password and enter the captcha. Click 'Sign in'. 3. On the page opened, you can see the member profile on the right side of the page. Now Click on the 'Manage' tab and select KYC from the drop-down menu. 4. On the next page click on the 'Online Services' tab and select 'Claim (Form-31,19 & 10C) from the drop-down list. 5. You can see the member details here. Now enter the last four digits of your bank account to verify and on 'Yes'. 6. In the next page select 'Form 31' from 'I want to apply for' row and click on 'Proceed for online claim'. EPFO will collect your Know Your Customer (KYC) details and then online PF claim will be processed. After approval, the PF amount will be credited to the account mentioned within 10 days. One important thing to note here is that members of EPFO would not need to file for EPF transfer claims while changing jobs from the next fiscal. According to the labour ministry official, this process will be made automated. 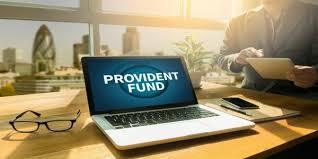 Currently, the subscribers of the EPFO are required to file transfer of EPF claims on changing jobs despite having a universal account number (UAN). Every year EPFO receives near about eight lakh EPF transfer claims. Another important point is that the Supreme Court on March 14, ruled that special allowance must be included in basic pay of the employee for calculation of PF deduction from employees and the company.